Dr Richard Broughton, PhD: an early interest in what might be called the higher powers of the mind associated with mystical states was transformed into a quest to understand how these unusual abilities work by an article by Lawrence LeShan that later became part of his book The Medium, the Mystic, and the Physicist. This led Richard in 1973 to pursue a PhD in psychology at the University of Edinburgh where he studied under John Beloff and began his association with the SPR on becoming a member and publishing his first scientific papers in the Journal. Following appointments at the University of Utrecht and the State University of New York, Richard joined the Institute for Parapsychology (successor to the famous Duke University Parapsychology Laboratory and now known as the Rhine Research Center) in Durham, North Carolina, where he eventually served as director for five years. In 2000 he left to establish Intuition Laboratories, Inc., but eventually returned to the UK and to academia, joining the psychology division of the University of Northampton in 2004. He continues his research into anomalous intuition and the emotional underpinnings of psi phenomena in the University’s Centre for the Study of Anomalous Psychological Phenomena. He is the author of numerous scientific papers and a critically acclaimed popular book on parapsychology. He frequently serves as a commentator in television programmes on parapsychology and intuition issues. 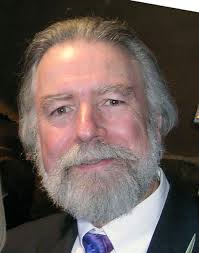 Dr Broughton is a twice past president and former long-time board member of the Parapsychological Association and he has served on the SPR Council since 2004. Broughton, R. S. Parapsychology: The Controversial Science, New York: Ballantine, 1991. Translated editions published in Italy, France, The Netherlands, Poland, Romania, Israel. Broughton, R. S. Taking Psi Ability Seriously. In L. Coly and J.D.S. McMahan (Eds.) Psi Research Methodology: A Re-examination (pp 21-43), New York: Parapsychology Foundation, 1993. Broughton, R.S. The New Technology: A Man and his Tools (Commemoration of C. Honorton). Journal of Parapsychology, 57, 111-127. Broughton, R. S. Parapsychology on the couch. Behavioral and Brain Sciences, 1987, 10, 575-576. Broughton, R. S. Publication Policy and the Journal of Parapsychology. Journal of Parapsychology. 1987, 51, 21-32. Broughton, R. S. Computer Methodology. In B. Shapin and L. Coly (Eds.) Parapsychology and the Experimental Method (pp. 24-36) New York: Parapsychology Foundation, 1982. Broughton, R. S. The use of computers in psychical research (Chapter 19). In I. Grattan-Guinness (Ed. ), Psychical Research: A guide to its history, principles and practices. Wellingborough, UK: Aquarian Press, 1982. Broughton, R. S. Computer methodology: Total control with a human face. Parapsychology Review, 1982, 13, 1-6. Broughton, R. S. An experiment with the Head of Jut. European Journal of Parapsychology, 1979, 2, 337-357. Broughton, R. S. Repeatability and experimenter influence: Are subjects really necessary?Parapsychology Review, 1979, 10, 11-14. Broughton, R. S. Possible brain laterality effects on ESP performance. Journal of the Society for Psychical Research. 1976, 48, 384-399. Broughton, R. S. Psi and the two halves of the brain. Journal of the Society for Psychical Research. 1975, 47, 133-147. Broughton, R. S. and Perlstrom, J. R. PK in a competitive computer game: A replication.Journal of Parapsychology, 1992, 56, 292-305. Broughton, R. S. and Perlstrom, J. R. PK experiments with a competitive computer game.Journal of Parapsychology, 1986, 50, 193-211. Burdick, D. S. and Broughton, R. S. Conditional displacement analyses. Journal of Parapsychology, 1987, 51, 117-123.